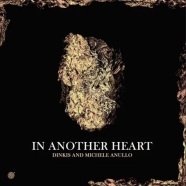 We have the pleasure of speaking with Dinkis regarding his first EP in cooperation with Michele Anullo. This record is a landmark for Wout Records and a great display of prowess and passion in the studio. This record tells a story about different emotions, melancholy and joyful. I think it is not so much suitable for the regular dancefloor. It is too slow for those who normally try to break loose in the clubs. I think that the record will reach another type of audience, namely the pure listeners. There is not so much difference to my last productions in general. However, here, I decided to share the studio with my good friend, Michele Anullo. We have tried to make very basic electronic music, which contains only the essential pasts, resulting in very trippy music…and I love it. The sources of my inspiration are mainly emotions, nature and feelings. I think they are the best idea provider for an artist. I always try to find a good connection between my compositions and these sources, because only this kind of music really makes me thrill. I think everywhere. Sure it would be great in the best clubs in the world. However, I definitely would also love to play this record in a calm, elegant, warm atmosphere, where people can get lost in this music, during relaxing or soul travelling.